Why should humans get all the tasty fall desserts? 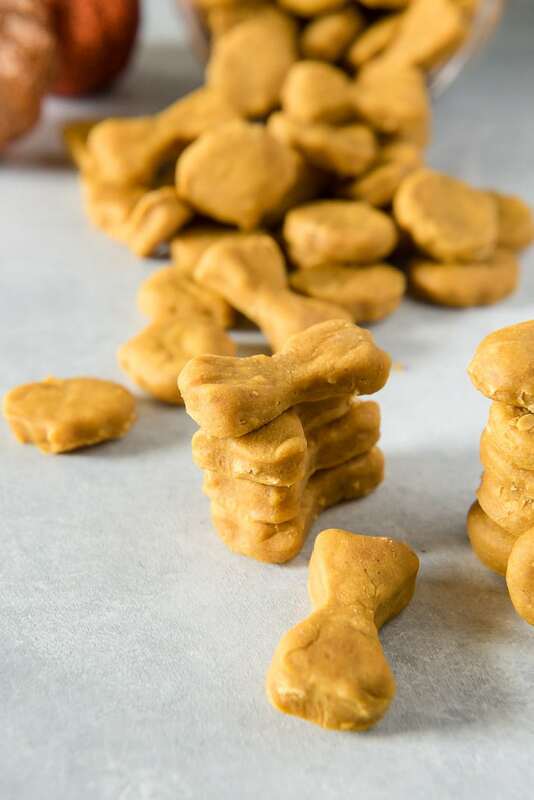 Treat your pup to these homemade dog treats and let ’em revel in the season with you! Hey there, Sugar & Soul fans! Erica here, head baker at The Crumby Kitchen, coming at you with all the fall things! In this case, today is all about the best darn furry four-legged friends on the planet! 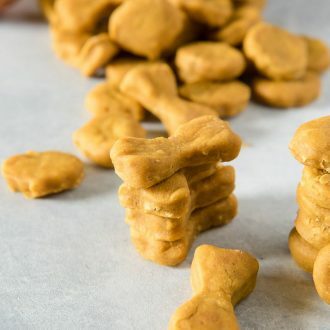 You’re going to love this homemade dog treats recipe! I am a HUGE fan of fall. Pumpkin lattes, caramel apples, hot cider, crunchy leaves, cinnamon candles. The list goes on, right down to cute seasonal bandanas tied around my Mini Aussie, Vader’s, neck. Yes, folks, I even get my pooch in the spirit. So, why wouldn’t I bake him some sweet fall homemade dog treats to go along with my own? Other great dog recipes and ideas! 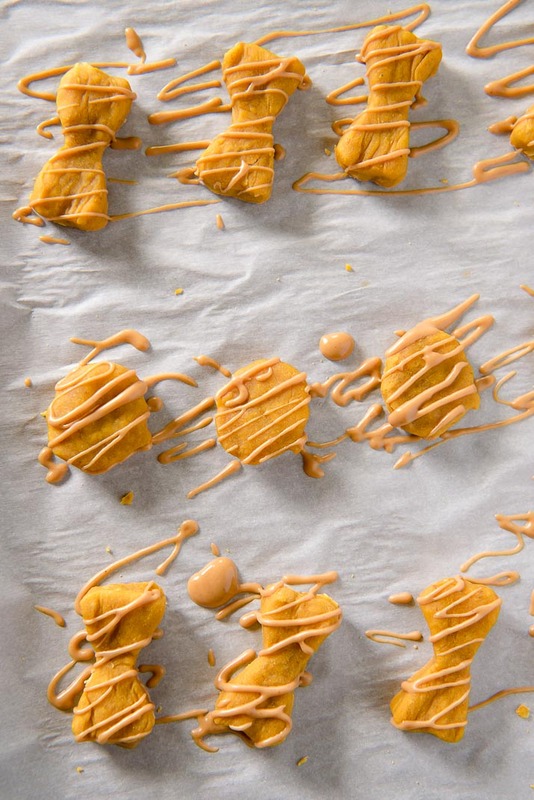 These homemade dog treats are as simple as they are cute. They’re made up of seven ingredients you very likely already have in your pantry (pumpkin is questionable but very easy to find!) Knowing what’s inside the snacks you give your pup is pretty comforting! There are no confusing, overly-wordy words on a nutrition label that’s way too long to worry about. They’re also super versatile. 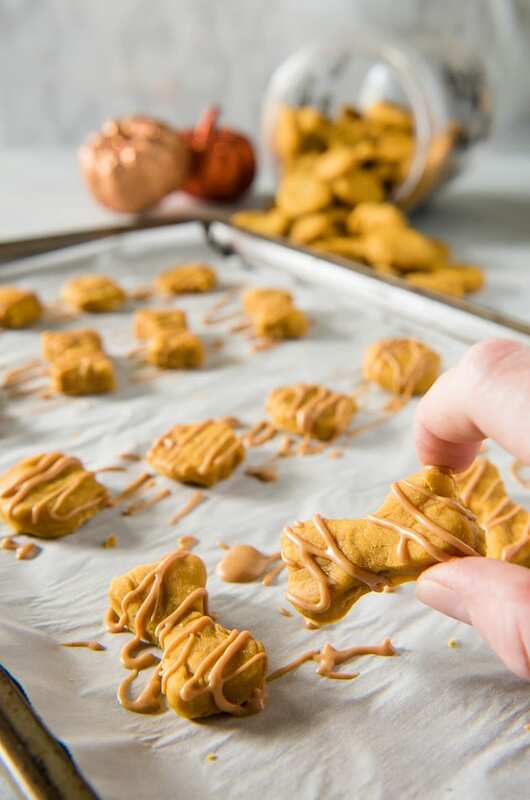 You can make them any shape, as big or as small as you want, bake them a bit longer if your dog prefers crunchy treats, and even drizzle them with a warmed up peanut butter “glaze” if you’re feeling fancy. I kept them on the smaller side for Vader, who has a touch of separation anxiety. My hubby and I like to treat him (some would say ‘bribe’) when we leave the house, and the smaller size is a sweet little promise that we’ll see him soon. Of course, I’m sure he wouldn’t think twice about eating the whole tray if I set it on the floor for him. He’s a big fan of these! Why should humans get all the tasty fall desserts? 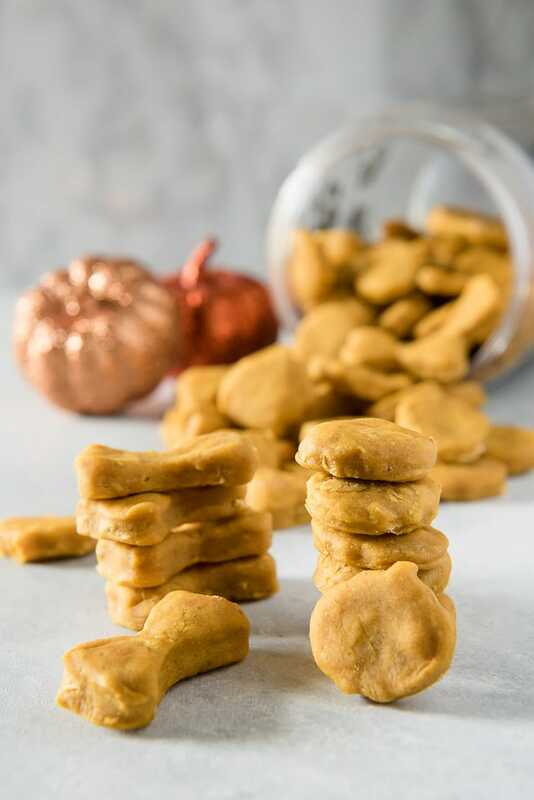 Treat your pup to these homemade dog treats and let 'em revel in the season with you! Remove from oven. 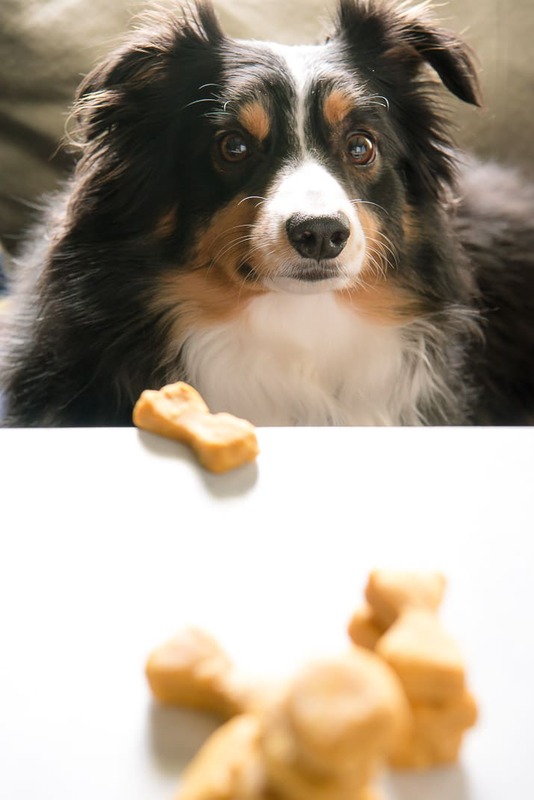 Cool the cookies completely before treating your dog! Pin these Homemade Dog Treats for Later!